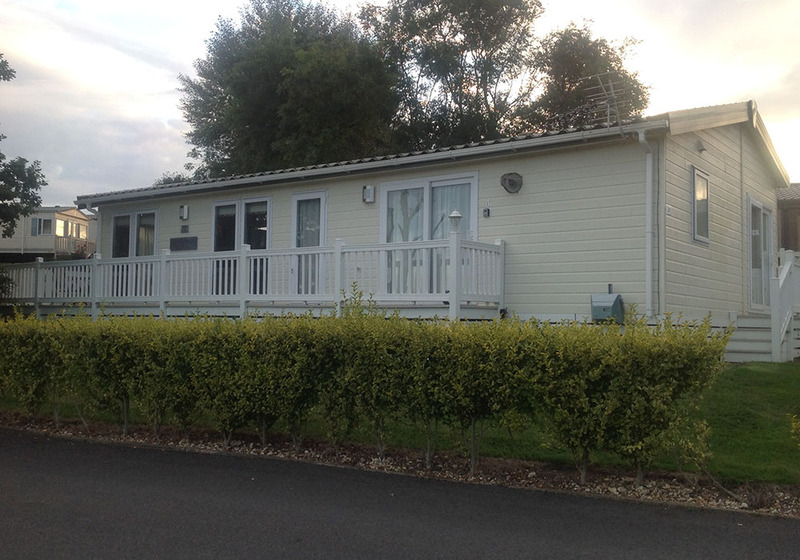 Beautiful Pemberton Rivendale Lodge inclusive of all decking, furniture, soft furnishings and white goods. Just over 3 years old and not greatly used during that time. Pet free and smoke free. The lodge is in prestine condition, as new. 27 years remain on the lease. 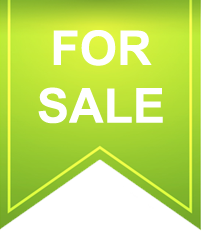 We are selling because we love the area and ultimately would like to move there. The lodge represents a new standard in twin units. It is 44' by 20' sits on a twin axle pre-galvanised twin chassis and features a pitched roof, clad in pan tile effect plastisol galvanised steel. It has PVC-u double glazed windows and patio doors to front side and rear elevations. 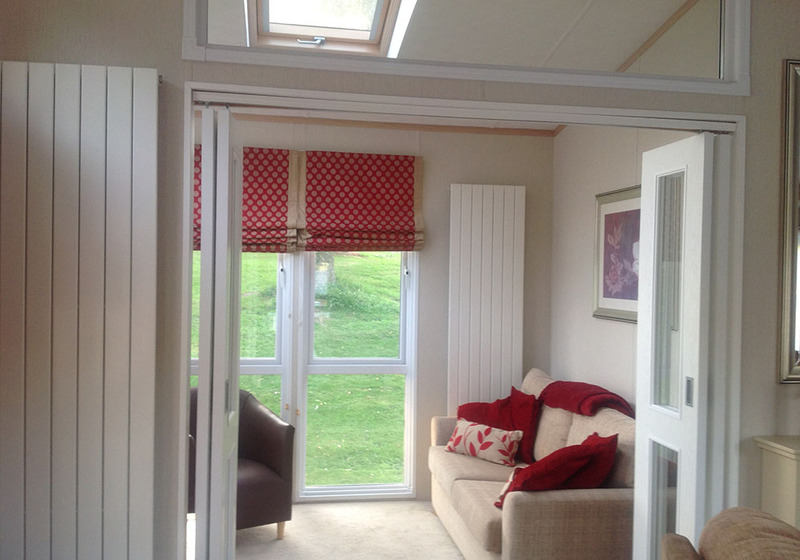 Its revolutionary award winning design maximises living space and is stunning. It is light, spacious and open plan. To the left is the snug room - a small separate lounge/study/conservatory with its own sofa bed, coffee tables and lamp. A sky light lets in additional light to an area that can be used as an office or third bedroom. The lounge has an electric fireplace, central ottoman, matching three piece suite, with a flat panel TV attached to one wall over a low DVD box unit with storage. There are matching coffee tables and sideboard unit (treble cupboards with drawers above). The kitchen/diner has a dining table and 4 chairs which be supplemented by 2 more matching from the bedrooms. 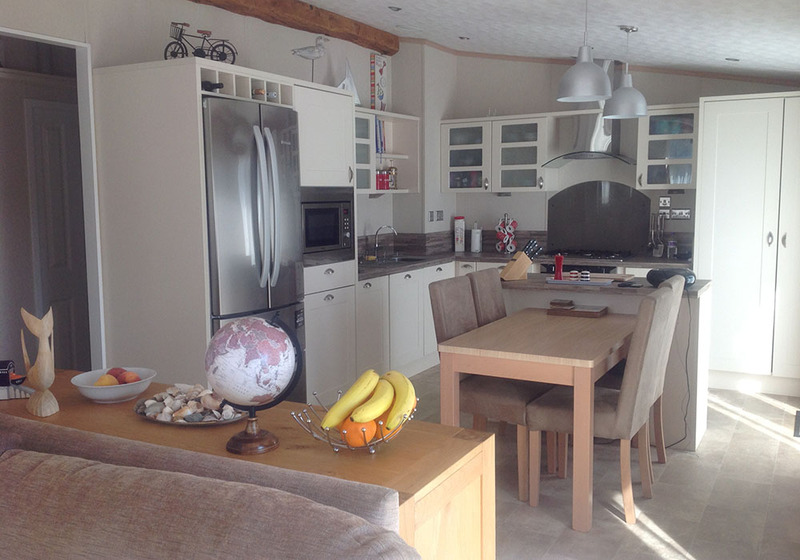 There is an island unit with storage under and the kitchen is laid out in a large L-shape with American style fridge freezer, sink and double oven/hob all fitted as standard. There are ample fitted panelled units and drawers with brushed aluminium cup handles. Glass fronted cupboard storage and open shelves with built-in microwave are also included with composite timber effect work tops. A central arch gives access to the bedrooms and bathrooms. 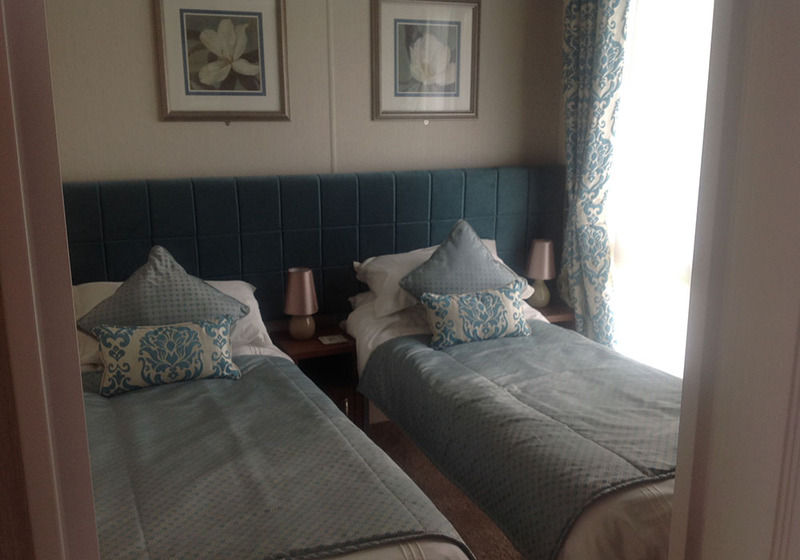 The second bedroom to the left has twin beds, bedside tables and fitted wardrobe combination with overhead storage. 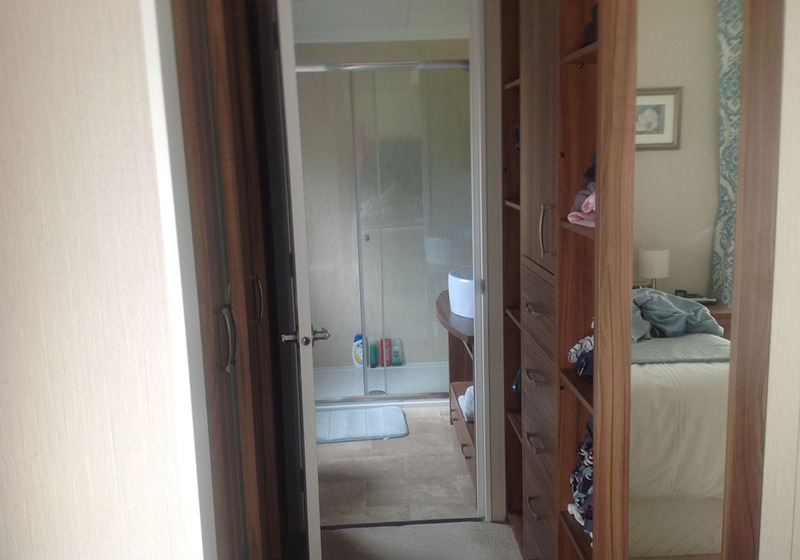 Adjacent to this is the main bathroom with full-length bath and over head shower glass shower screen ceramic hand basin with storage under and over as well as toilet. 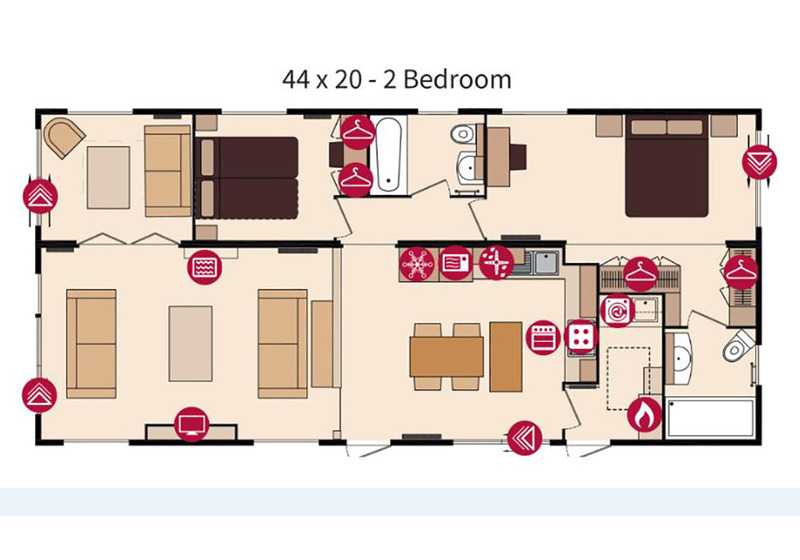 Further along the main corridor is the master bedroom, a well appointed space, with king size bed, dressing table, fitted wardrobes with overhead storage leading into an ensuite which has a vast open shower space with sliding glass door, ceramic hand basin with storage up and under and toilet. There is a small safe fitted in the main wardrobe. The lodge is fitted with tall designer radiators throughout powered from gas boiler which is secreted in the tall kitchen cupboard. There are integrated ceiling speakers in both the lounge and master bedroom for use with the accompanying ipod docking stations. There is a key safe fitted outside. 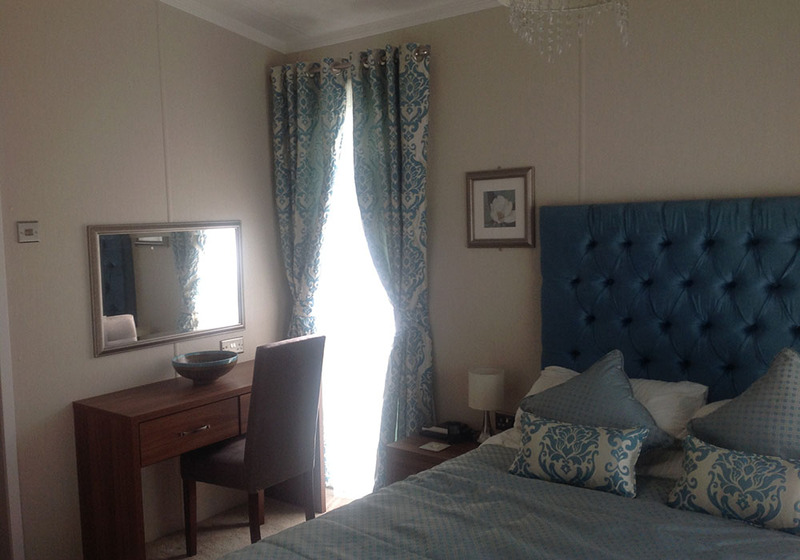 Soft furnishings, fitted pictures and mirrors are coordinated throughout. 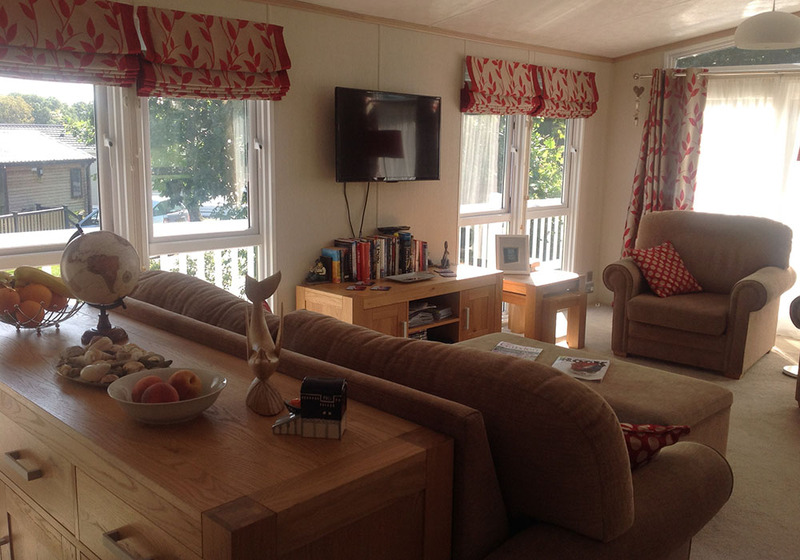 Our lodge is situated on a corner plot in an elevated position and is not overlooked. Our lodge is situated on the stunning 5 star 100 acre landscaped Shorefield Country Park, Downton, Milford on Sea, Hants where your residence will allow you free access to the many excellent facilities including indoor and outdoor swimming pools, sauna, steam room, Jacuzzi, tennis courts, children's play areas, 5-a-side football, fishing lake and concessions to club, bar, shop and spa. There is also nightly entertainment for families and young children. The park is open 11 months of the year. 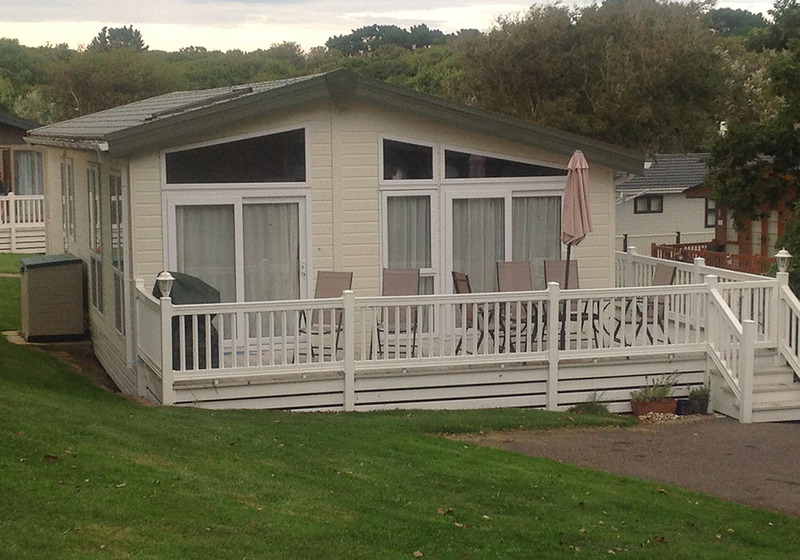 Shorefield Country Park is in an enviable location on the border of the beautiful New Forest and just minutes from the local beach.